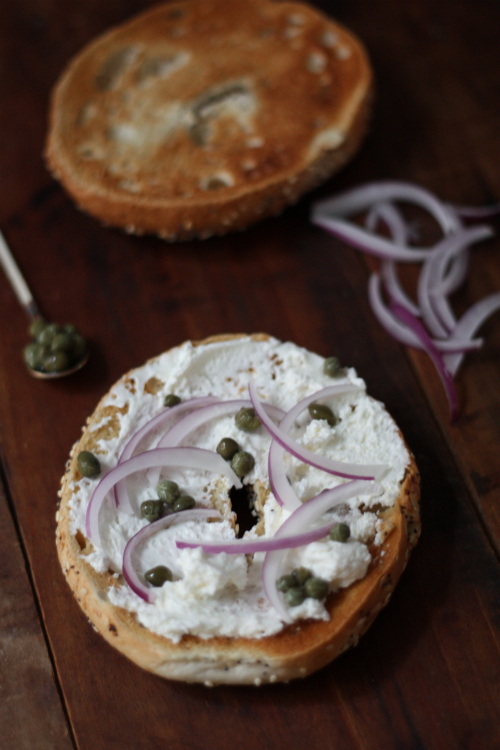 So what makes the perfect bagel in this house? Oh, it's a production and an art. 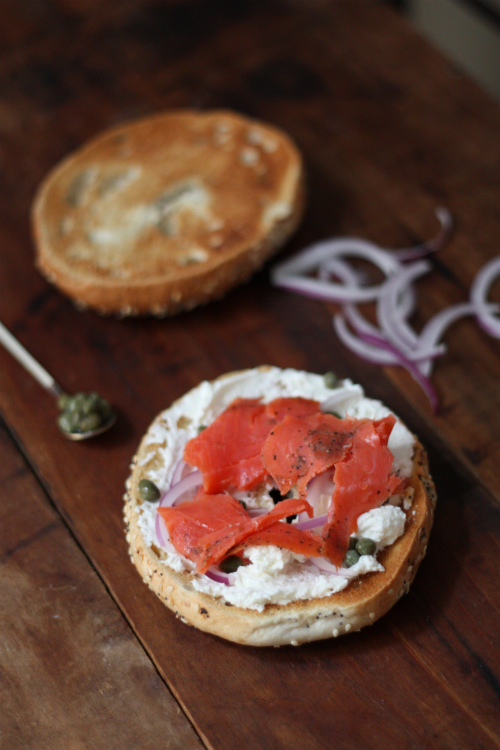 In this house — that is the perfect bagel to take on the day. 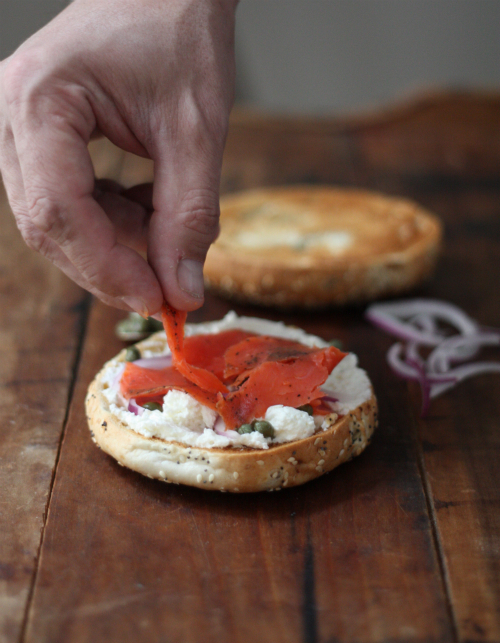 What makes up your perfect bagel? hmmm, do I admit? It's anything but gourmet like. Yours looks as if it should be served in high class deli's while mine is a step up from McDonald's. Absolutely perfect, except that I would probably eat it without onions. There have been bagels in the office kitchen all morning long calling my name which have been increasingly difficult to resist. 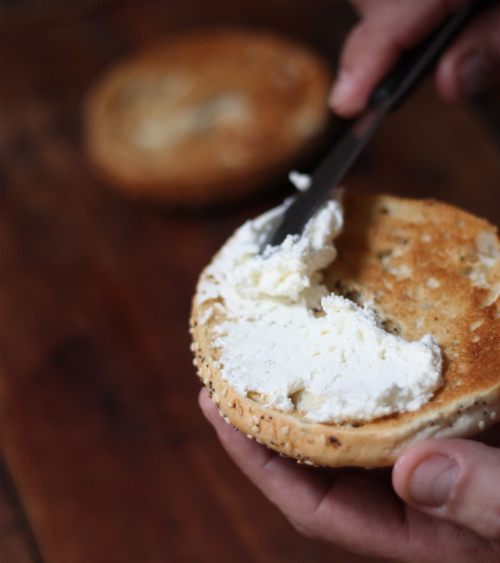 You just made it easy because there is no way a bagel and just cream cheese could measure up to these pictures of the perfect bagel delight. Thanks Rick, were those expensed bagels? 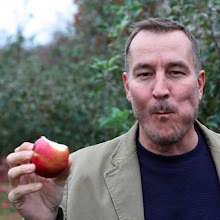 Tim - I also live in Richmond! 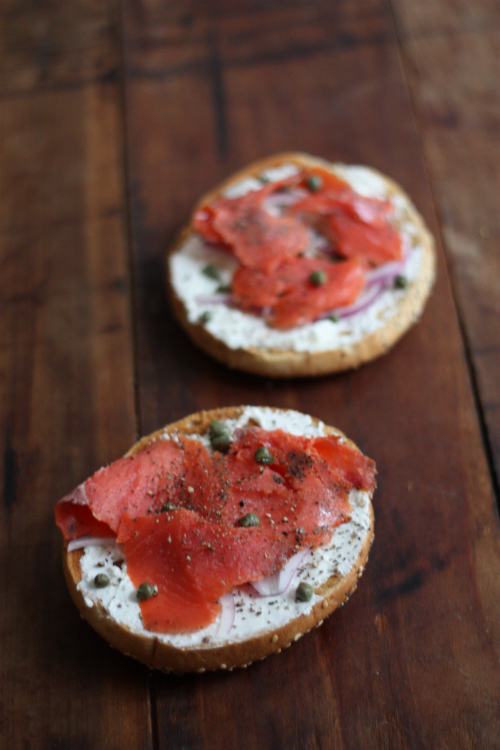 Where do you get your smoked salmon? It looks delicious/great quality? Hi Virginia! From memory I believe I got that salmon from Fresh Market at the top of Carytown! Thanks for stopping by and feel free to say hello if we run into each other in the river city!